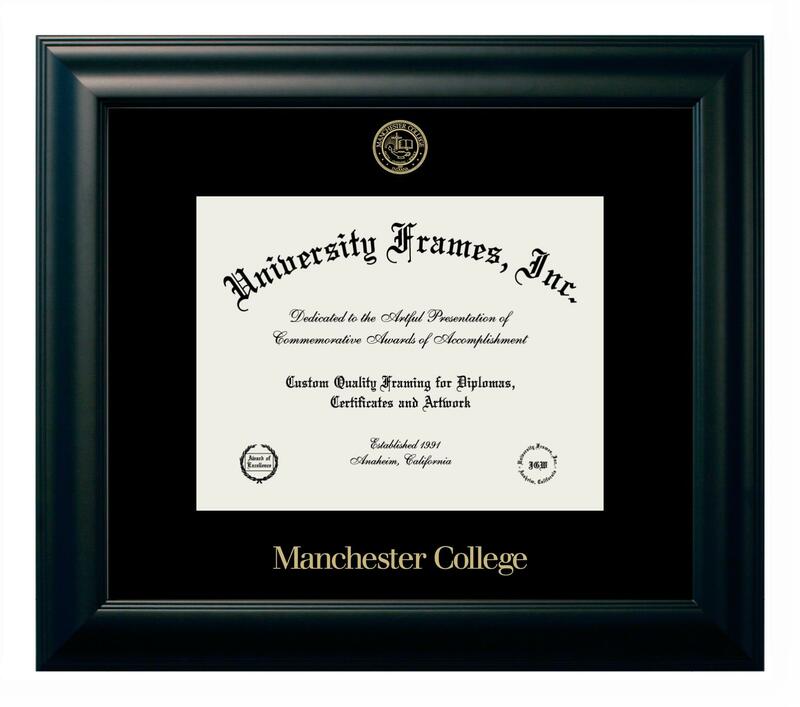 This black diploma frame has the Manchester College seal at the top and Manchester College spelled out at the bottom in metallic gold. The diploma frame also includes a tradtional double black mat as well. This diploma frame is not in stock so it is a custom order and will ship in 2 to 3 weeks. ALL SALES ARE FINAL ON THIS ITEM!